It was so hot outside today! I wanted to make sure that I wore something not terribly restricting because I knew that we'd be outside for a few hours. 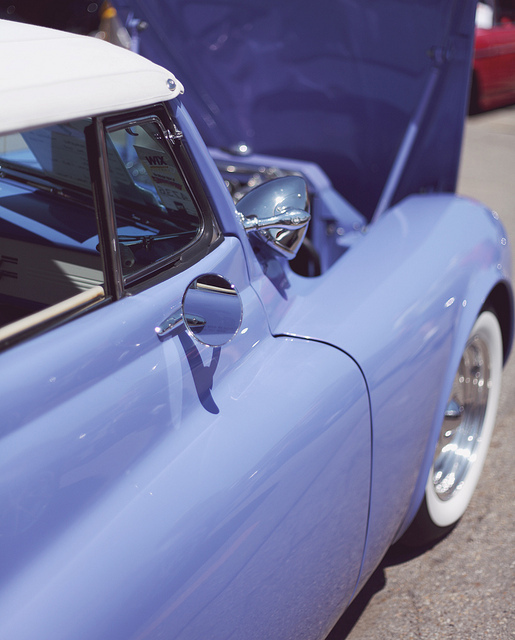 We headed to the Ohio State Fairgrounds to hit up the Goodguys National Car Show. 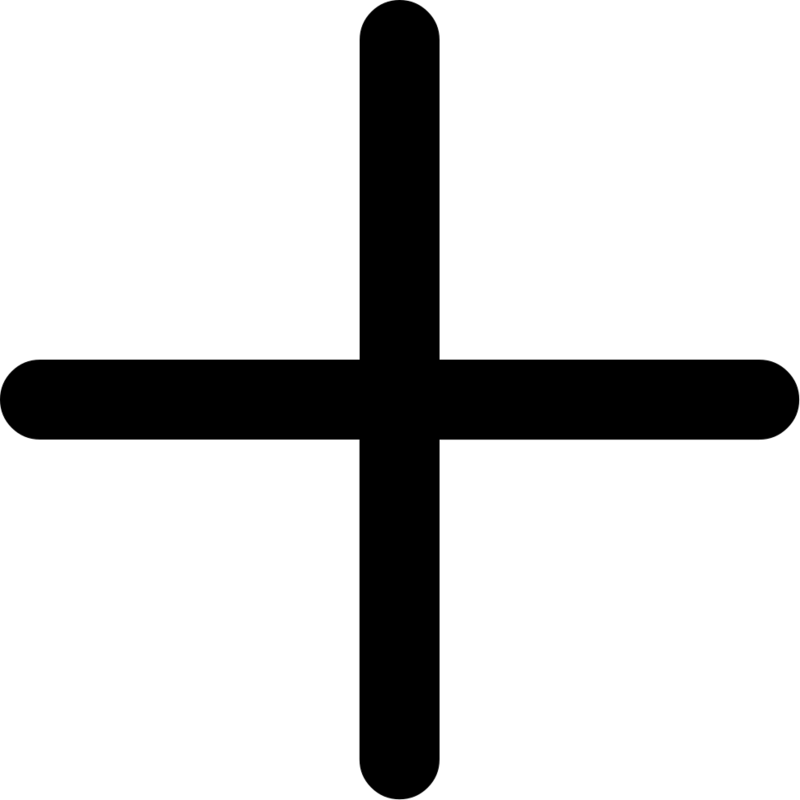 I haven't been there for a few years and it's pretty expensive to get in at eighteen dollars per person. Ouch! But there are so many cars and vendors and an extensive swap meet to keep visitors busy. People who know me might be thinking "Wait, her? At a car show? WHAT?" since I'm always complaining about cars and how much I don't like them. I've owned the same vehicle since I was 16 and am really not into cars. While I do drive my automobile quite a bit, I really dislike messing with it. I can't wait to live in a city with reliable public transportation! With all of this being sad, the Goodguys car show is awesome. 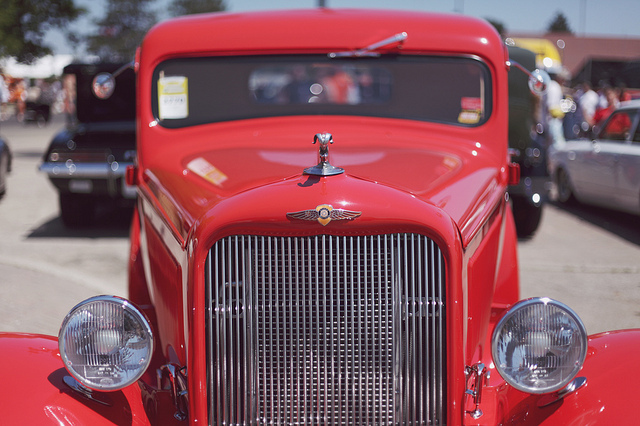 It's almost entirely custom antique cars, including hot rods, rat rods, and 60s, 70s, and 80s goodness. As someone who pays attention to detail, I will always appreciate the crazy color schemes, pin striping, and custom upholstery. If you're not into cars, then please pardon the small photodump. I wanted to share with everyone the awesome candy-colored machines I saw today! 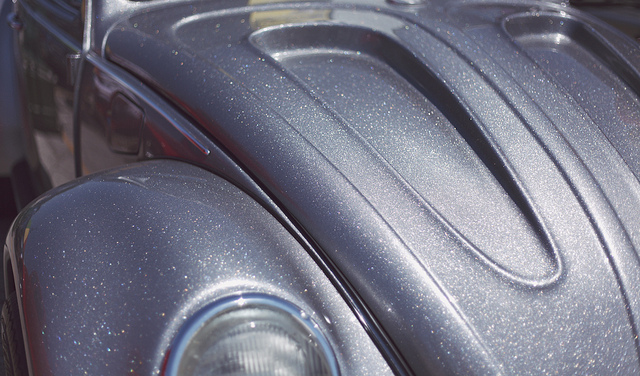 How awesome is this silver flake paint job? It was on an amazing old Volkswagen Bug! 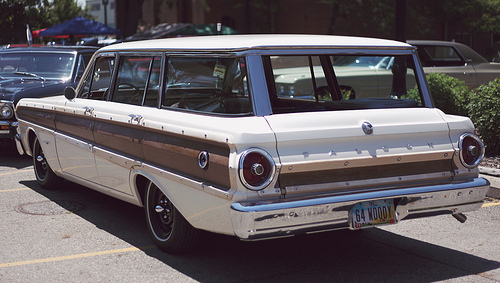 I think my "dream car" at the moment would be an old station wagon with wood paneling. We saw a few air streams, winnebagos, and old campers that I would have loved to take on a road trip. A girl can dream, right? Well, we both ended up getting a little bit of sun today. We're hoping to hit the pool tomorrow and escape the heat and maybe even out our hilarious tan lines. Geoff has a permanent v-neck and my legs are a gradient. Hah!